November 19 & 20, Berthold Crysmann (Paris) visited Frankfurt to give two talks on his joint work with Alain Kihm on Apparent reversal in Old French declension. Berthold and Alain argue that even though the Old French declension looks like a case of reversal, it should better be described in terms of generalizations over various declension classes. 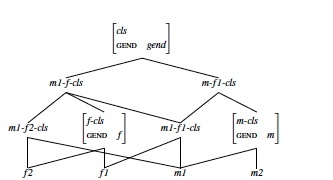 Berthold’s visit was funded as part of the Paris-Frankfurt network One-to-Many Correspondences in Morphology, Syntax, and Semantics (2017 & 2018). Proceedings of the 25th International Conference on Head-Driven Phrase Structure Grammar, University of Tokyo (pp. 20–35). Stanford, CA: CSLI Publications.